Lao Ban NiangBaked US Almonds ! CHEAPEST ON QOO10! 1KG SPECIAL!! Usual Price 1kg for $28.90! Tasty and Healthy! Highly Recommend Multiple buys. Good as always. Multiple buys. Good as always. Friendly staff purchase for this seller many time . Not my first time ordering. Somehow the flavour and quality this time doesn't seem to be as good. The butter flavour is not so strong and the nuts seem a bit soft and not as crisp. May have been packed a while ago or kept for too long. Use coupon to brought at cheaper price. Happy with the purchase. Thanks! Item comes in 3 x vacuum pack. The nut taste ok but It is not crunchy at all. Super quick delivery! Items delivered vacuum packed in 500g each and are fresh and yummy. Good buy! May I know your shop operating hours? Hi, our address is 154 rochor road, Singapore 188429, 1 shop away from bugis village macdonald. We are open daily from 9.30am to 8.00pm. Thanks ! Hi. Can I purchase the order tmr and collect it tomorrow ? If I purchase directly from the store, will it be of the same price ? It is packed in 500g ? Hi, yes you can. It is the same price, thanks ! Ok that’s good. What is your opening hours tmr at Bugis the food hawker centre upstairs there? 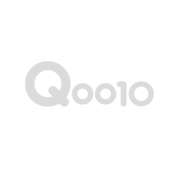 Hi, there will not be the same items over there as compared to qoo10 online, If you are looking for the same item, you can come over at 154 rochor road, singapore 188429. We are open from 9.30am to 8pm. Thanks ! Q1. Do the California Baked Pistachios come with shell? or are they de-shelled? Q2. Do the 1kg Premium Big Red Dates have seeds, or are the seeds being removed , i.e. they are seedless? 1) The pistachios come with shells. 2) The red dates are with seeds. Hi I am thinking of buying 2 packs. What's the expiry date pls? Hi, you can keep up to a year upon receiving the almonds. To better store it, do keep it refrigerated, thanks ! [CAUSEWAY PACIFIC] Premium Canada Scallop/ 500g /CHEAPER THAN WHOLE SALE PRICE / LIMITED QUANTITY ! !